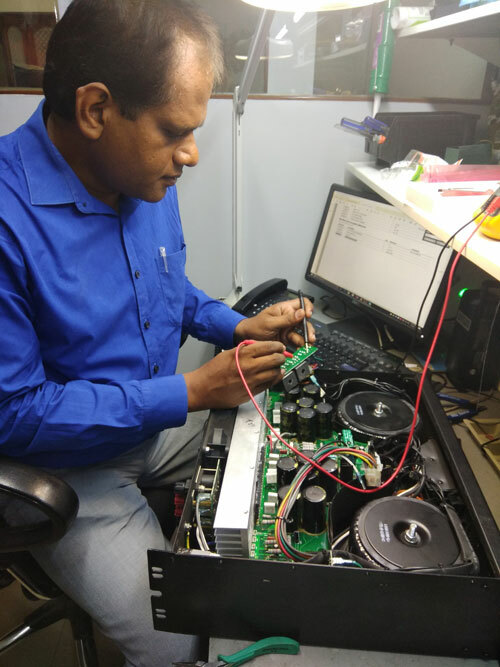 At Midas, we don’t restrict ourselves to merely repairing & Servicing AV products, but also extend our services to our customers by carrying out the installation of the products. With a cumulative experience of over 50 years in the AV industry and with some of the finest engineers and technicians, we possess the requisite knowledge and skills to plan, design, and perfectly execute even the most complicated AV projects. The installation team at Midas has undergone rigorous training with various OEMs such as Barco, Projection Design, Hitachi, Sanyo, QSC, Clearone and Powersoft. This training enables us to make sure that the installation of your AV products conforms to the manufacturer’s standards and specifications. Our primary focus when installing an AV product is to utilize the available space effectively, as we believe that successful delivery can only be achieved by maximizing the efficiency of the resources. We understand that as a customer, cost effectiveness is of utmost importance to you, which is why we offer a range of customized installation options that are precisely tuned to fit your budget without skimping either on your AV requirements or on the quality of our services. We also recognize that every customer comes with diverse and varying needs, and therefore provide options that are tailor-made to meet their specific needs. For us, nothing is more vital than the satisfaction of our clientele, and we unhesitatingly go the extra-mile to fulfill this objective. Midas is fully committed to delivering outstanding services that exceed our customers’ expectations and requirements. 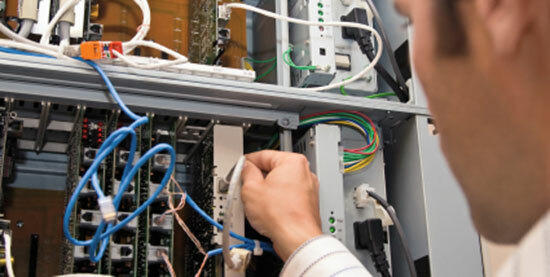 Our outstanding on-site technical support fully backs up the strong commitment we possess. With our lightning-fast response time, you can find solace in the fact that you can just sit back and relax while our trained technicians and engineers visit your place and work their magic. Our technicians are highly qualified and trained by various OEMs and manufacturers of AV equipment, and are exceptionally capable of troubleshooting any issue, be it either on the first or on the second. We do not merely stop with on-call support, we also provide technicians and engineers who are qualified enough to act as your own in-house team or supplement a team that already exists in your organization. We believe that being flexible is the only way to satisfy varying customer requirements. Therefore, in order to better suit your requirements, we ensure that our technical staff is available on daily, weekly, monthly or yearly basis, as needed. Unlike other service providers, with our tech support, you can rest assured that you will never be left in the dark as help is only a phone call away. In today’s day and age, one of the main factors that influences the decision to purchase any product is the after-sales support. The AV industry, in particular, is lacking on this front; this is where we come in. Our Annual Maintenance Contracts are exclusively designed to protect you from any unexpected failure and expensive downtimes, thereby enhancing the resale value of your product. We guarantee that your devices are periodically checked and cared for, thus assuring you complete peace of mind. Furthermore, our certified engineers and technicians will work with you to protect your investment and make sure that your audio-visual equipment continues to perform in line with your expectations. Our Comprehensive Annual Maintenance Contracts are thorough and extensive, as our certified professionals analyze every possible issue and fault in the hardware and carry out the appropriate repairs and adjustments. These contracts also include replacement of faulty spare parts, preventive maintenance on a pre-determined frequency, and certain other free services. Our Non-comprehensive Annual Maintenance Contracts are similar to our comprehensive ones. These contracts cover service and labor costs, and also include preventive maintenance on pre-determined intervals. The only difference between the two lies in the fact that when opting for the Non-comprehensive contracts, the costs of the spare parts are to be borne by the customer. With our preventive maintenance program, our customers are entitled to regular maintenance visits on pre-determined intervals. The costs of labor and spare parts are not covered under the program, and shall be completely borne by the customer. Through an active and strategic partnership with some of the world’s finest Original Equipment Manufacturers (OEMs), Midas has set up authorized service centers all over India and offers comprehensive service assistance, general support, and technical support for a wide range of audio visual equipment. As an advantage of this close relationship with the OEMs, we possess the necessary tools and information needed to troubleshoot, diagnose, and resolve problems quickly and confidently. What sets us apart is the fact that our engineers and technicians have been trained and certified by the equipment manufacturers and are qualified to provide full-service repair solutions including standard whole-unit repairs, complex repairs, and failure analysis. Acting as a one-stop solution to all technical and hardware issues, we reduce crippling lead times and outrageous cost of operations for our customers. As an OEM authorized service center, we have a proven success rate of 99.5%. This speaks volumes about our commitment to excellence and customer satisfaction. Our OEM partners include Barco, Projection Design, Hitachi, Sanyo, QSC, Clearone and Powersoft. With a couple of OEM certifications signing from reputed brands are in the pipeline, our list does not stop here, as we are constantly expanding our service reach through partnerships and dedicated franchise. One of our primary objectives at Midas is to provide technical support to any and all types of audio visual equipment and facilities such as audio and video conferencing, virtual realities lab, Network Operating Centers (NOCs), Control room’s ,digital classrooms, auditoriums, three-dimensional applications, mini theaters, customer experience centers and more. Ever since our inception, we have worked hard to build a team that is capable, experienced, and qualified to meet the varying requirements and needs of potential clients. Today, we bask in the long-standing reputation of being a full-fledged audio-visual service company with technicians who are experts in providing powerful audio and visual solutions to clients that range from small and medium-sized enterprises, government organizations, Defense Research labs, Indian Space Research Organizations to large corporations. We offer complete technical and hardware support for products, whether they are covered under the manufacturer’s warranty or out of warranty. Our scope of after sales support is not restricted to just service and support but also extends to conducting installations of AV equipment that adheres to the manufacturer’s specifications as well as the needs of the customer. Apart from this, we are also authorized by various Original Equipment Manufacturers (OEMs) of audio visual production for many reputed brands.